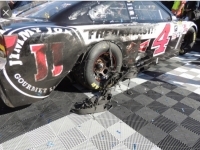 USPA NEWS - The SIN CITY WIN for Kevin Harvick. 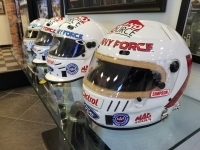 Can Harvick make it three in a row when NASCAR visits PHOENIX this weekend. USPA NEWS - Bring on the Horsepower as the men and woman battle it out for Drag Racing supremacy next week at the NHRA MELLO YELLO WINTER NATIONALS in Pomona, Ca. 20 time NHRA champion John Force pilots his dragster 300+ mph down the straigh-a-way en-route to another possible victory. Watch as these competitors go head to head with one another. Who will be the 2018 NHRA MELLO YELLO WINTER NATIONALS Champion. Thousands of Spectators will be out in Pomona, CA to witness this amazing event. You definitely don't want to miss this.